Overseas version. Can be played without Steam but still requires its steam_api.dll file. A demo for the original Japanese version is available from the developer's website, and the overseas version's demo with online play is available on Steam. Owning Acceleration of SUGURI 2 on Steam will unlock an extra character, Suguri (ver.2), for 100% Orange Juice. 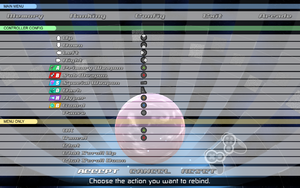 The overseas re-release features improved HD visuals, widescreen resolutions, updated controller support, in-game tutorials and movelists, and a lobby system for multiplayer through Steamworks. The original soundtrack of Acceleration of SUGURI 2, featuring 15 tracks in MP3 format. A soundtrack of the SUGURI series, featuring 12 arranged tracks in MP3 format. This album also adds 3 tracks into the overseas Steam version of the game as extra background music. A "best of" soundtrack from the SUGURI series, featuring 13 tracks in MP3 format. This album also adds 11 tracks into the overseas Steam version of the game as extra background music. 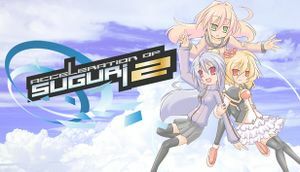 The v1.3a patch, found next to the Acceleration of SUGURI 2 banner, fixes many bugs, gameplay balance issues, and restores features missing from the initial release. The overseas version is always updated with the latest patches. If you are playing the Japanese version, the configuration and save files are stored under %USERPROFILE%\Documents\橙汁\AoS2 instead. game.cfg store configuration settings. For the Japanese version, network settings are stored in netcfg.ini. In the overseas version, control settings are stored in controller.cfg and player profile settings are stored in player.rkg. game.sys stores save game data and game.rkg stores high score data. 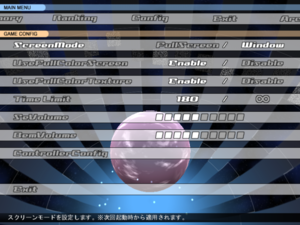 For the Japanese version, network settings are stored in netcfg.ini. 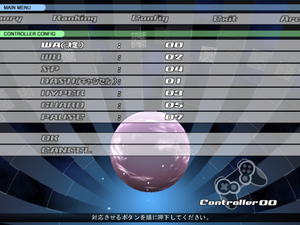 General settings from the Japanese version. Only in the overseas version. Partial support in the overseas version; run the game in Windowed mode at your display's native resolution. No upscaling for smaller resolutions. Keyboard remapping from the overseas version. Controller remapping from the overseas version. Controller remapping from the Japanese version. Pressing Esc instantly closes the game in the Japanese version. Native for the overseas version; keys F1-F12 cannot be bound. For the Japanese version, see Remapping. Japanese version uses DirectInput. Overseas version has been updated to support XInput. Entering profile/lobby name, passwords, and using the in-game chat requires keyboard in the overseas version. "Confirm" and "Cancel" may be mapped differently depending on the controller. Xbox One prompts are used. Game recognizes DualShock 4 controllers as generic DirectInput controllers. 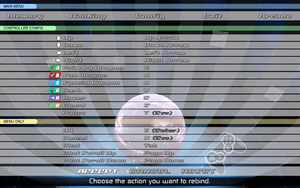 Generic prompts are used for DirectInput-based controllers. Remapping keyboard controls in the Japanese version must be done through the external_option.txt found under <path-to-game> and uses virtual-key codes for key bindings. A reference sheet of virtual-key codes can be found here. Only in the overseas version. All audio, music, or sound effects can be muted or not. 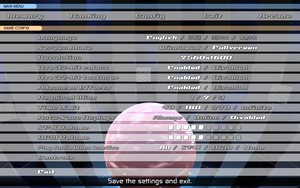 Some menus are partially in English in the original Comiket release. Total of 8 people can be in a single lobby in the overseas version. Players can use the "Quick Join" option in the overseas version to quickly find available lobbies. Lobbies are hosted by the creator of the lobby, but matches themselves are peer-to-peer. ↑ 1.0 1.1 File/folder structure within this directory reflects the path(s) listed for Windows and/or Steam game data (use Wine regedit to access Windows registry paths). Games with Steam Cloud support may store data in ~/.steam/steam/userdata/<user-id>/390710/ in addition to or instead of this directory. The app ID (390710) may differ in some cases. Treat backslashes as forward slashes. See the glossary page for details.